The Casio CTK-2500 Portable Keyboard is ideal for the creative musician requiring a perfect introduction to music making. The 400 high quality tones offers a range of instruments and styles to choose from. 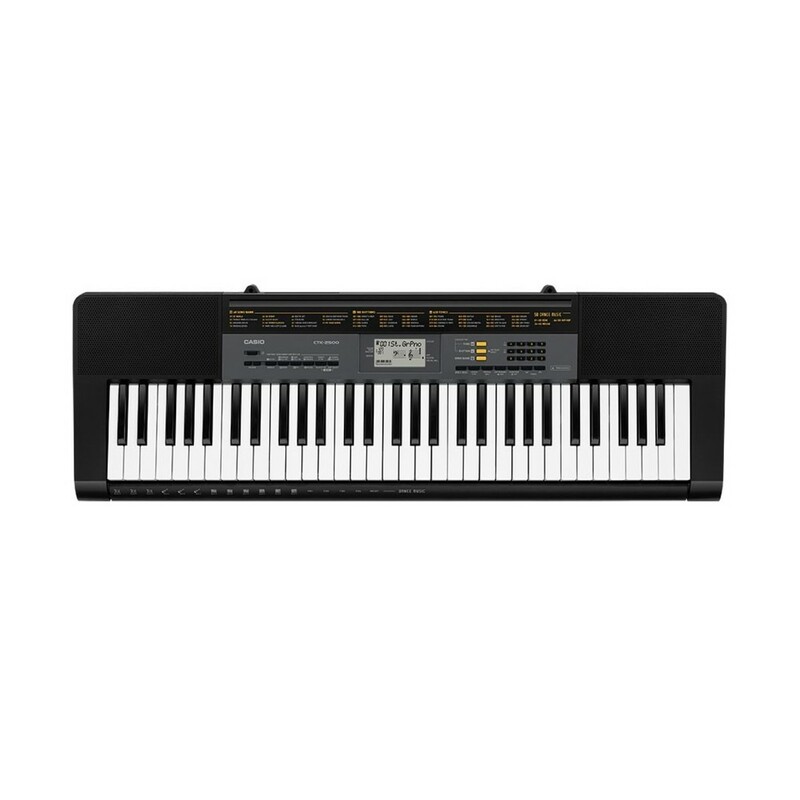 The 150 built-in rhythm accompaniments provide you with tunes to play along to. 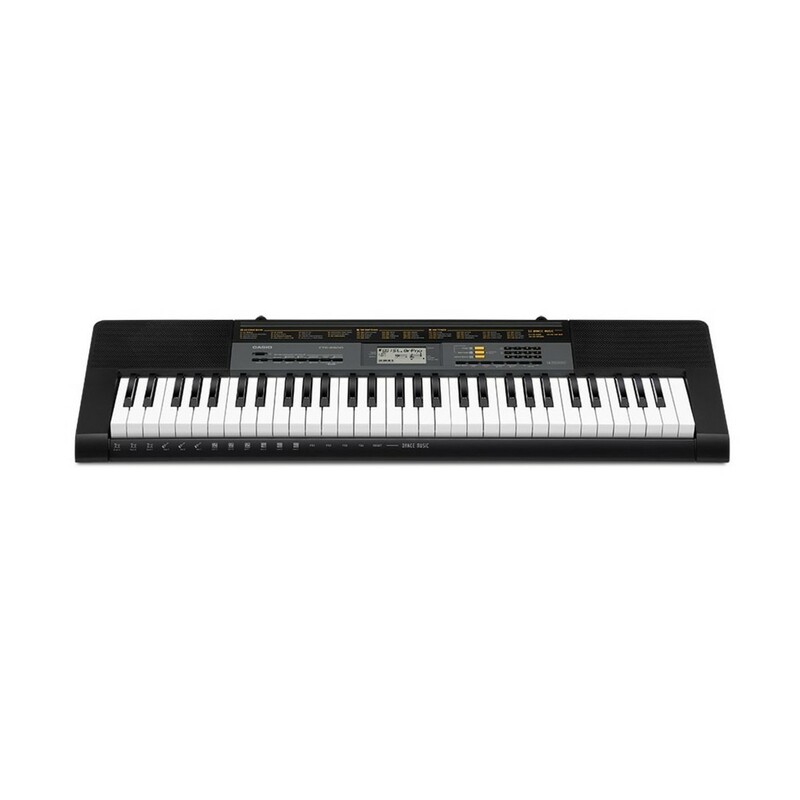 The CTK-2500 has 61 keys which are ideal for younger musicians. The CTK-2500 can be battery powered so it's ideal whether you're at home or on the go. The easy to read interface allows you to navigates features with ease. The Dance Music mode keeps your musical development fun and upbeat. Featuring EDM, house and hip-hop patterns, students can begin to combine phrases to create a full band setting. This allows students to begin composing and combining sound textures. You have full control over the three phrases and four parts of your song, and can turn them on and off at the touch of a button. Your dance track can then have effects added for more depth to your sound. The Dance Music feature is ideal for keeping young musicians engaged and inspired to learn. Young musicians want the freedom to play a variety of styles to inspire creativity. The CTK 2500 is equipped with 400 voices for added versatility. The voices include standard instruments like pianos, as well as more experimental strings and horns. The Dance Music mode is ideal for creative students wanting to create their first compositions. This feature works by combining sequences of music within loops to easily layer and switch between. The range of dance music styles includes modern EDM with classic house to suit all preferences. 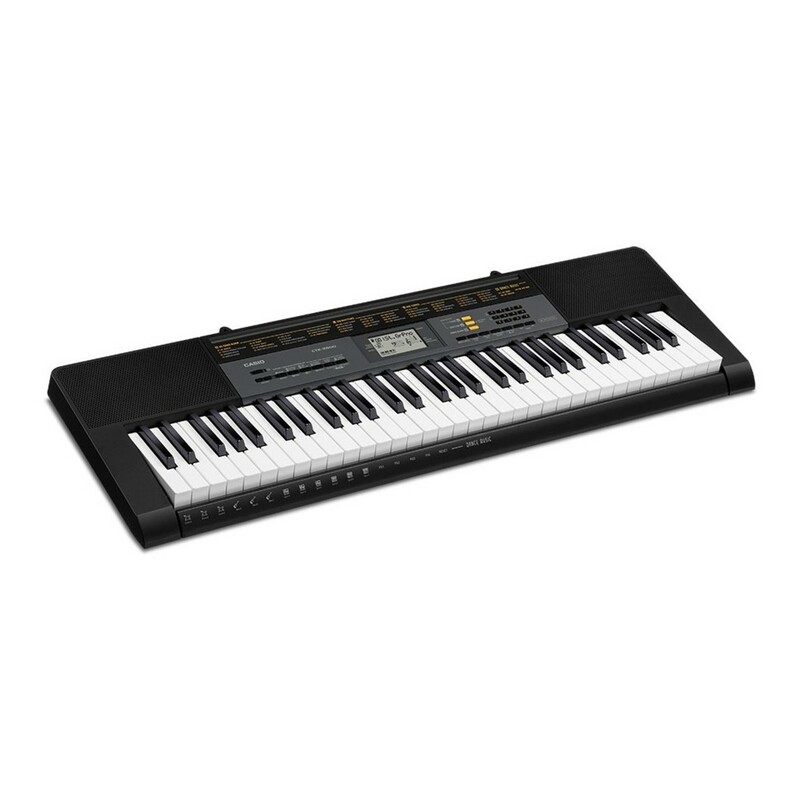 Students of all ages and musical preferences will be inspired by the CTK-2500's versatility.